Maximum performance with low cost maintenance giving you with cutting-edge enterprise application development services. Today’s era is tech savvy with such competitive market, business needs to be boosted with cutting edge enterprise applications that are tailored towards ensuring maximizing performance at low costs. We have good experience in developing enterprise applications which are designed to meet client’s specific requirements to provide them with highly robust, functional and cost effective applications to gain with maximum return on investment. With a huge team of experts, best resources and latest technologies, we offer solutions that are built to the level of scalability and in-depth insight to the development lifecycle. We develop business critical applications where ease of maintenance, performance, low cost and high productivity all these are required by a business, so considering to such demands, our developers develop such an enterprise applications that are designed to help clients with their content management, workflow enhancement, document management, business intelligence and mobility requirements. Enterprise application is a kind of business application, which organizes an application’s prerequisites into a little arrangement of distinct but interdependent categories that shows how every necessity collaborates with the others. 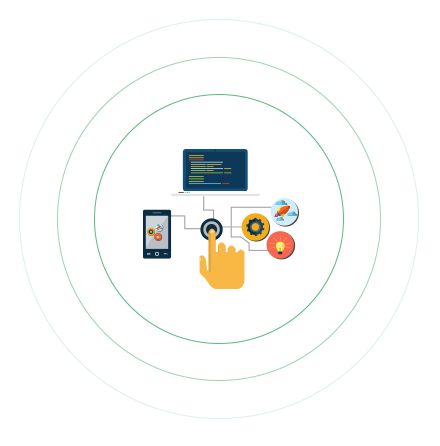 Apart from being the complex applications to develop, these applications have user friendly approach, centered administration, component-based etc. fulfilling all the requirements of security and maintenance. Evince is a leading Ecommerce web development company having a certified team of skilled Developers. Our programmers have gained expertise in developing various ecommerce websites. They are well aware with popular platform trending in market and comes up with a best possible solution. It helps in defeating these obstructions and disentangles the business procedure by better functionalities and easy of use. It enables organizations to perceive and react to circumstances more rapidly. By maintaning smooth flow of communication within organization helps sharing data with each other. Enables organization to improve functionality, time effort involved, better control etc.